uni-ball Jetstream Stick Ballpoint Pen, Bold 1mm, Red Ink, Black Barrel - Jetstream Rollerball Pen features an innovative ink system that unites the smoothness of a gel and the quick-drying of a ballpoint for high-speed writing performance. 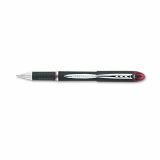 Pen writes amazingly smooth while providing crisp, vivid lines. Uni Super Ink helps resist smearing and prevent check and document fraud. Pigment-based ink contains particles that form an indelible bond that cannot be broken. Quick-drying ink helps prevent smearing. 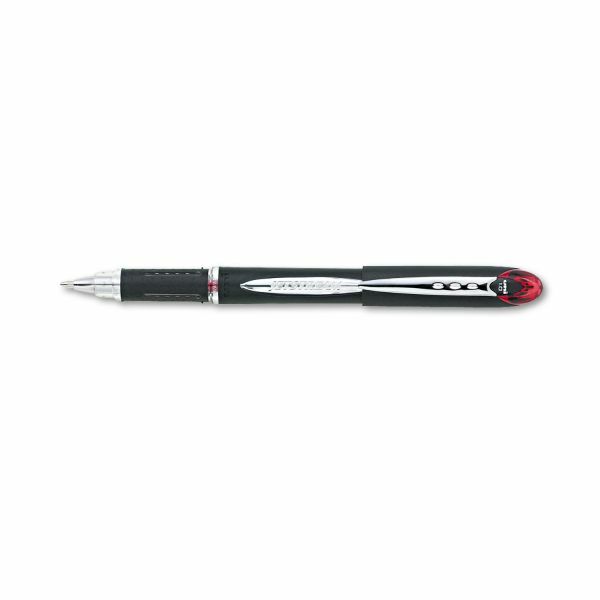 Rollerball pen also offers embossed grip and stainless steel accents for an elegant look.